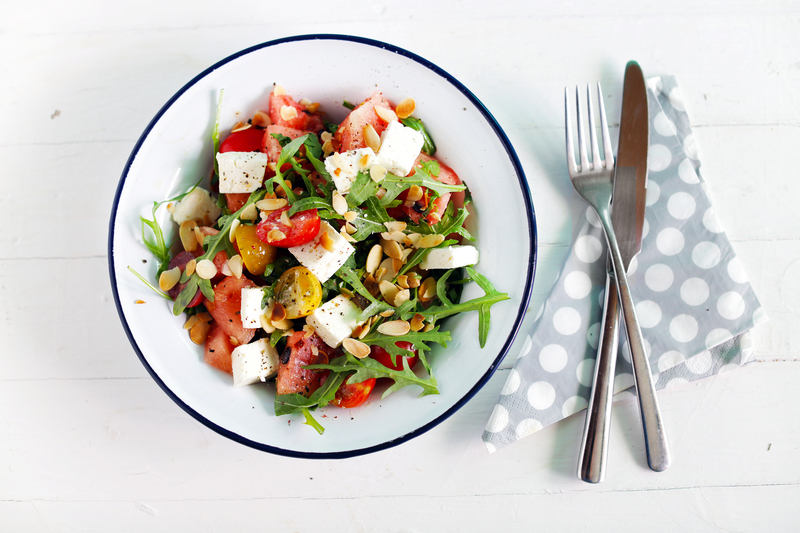 Watermelon and feta salad with cherry tomatoes and basil seeds. 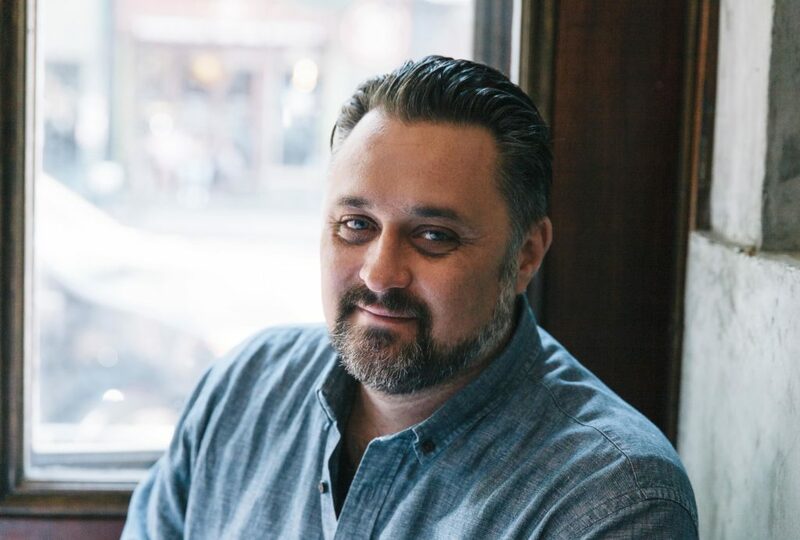 By Chris Rendell, Executive Chef. Currently served at the River Yacht Club in Miami, Florida. In a large mixing bowl, use your hands to crumble the feta. Add lemon zest, lemon juice, chopped chives, chopped parsley, salt and pepper to taste and combine well. Place 1 tablespoon of basil seeds in a mixing bowl and cover with 3 tablespoons of water. After 5-10 minutes they should begin to bloom, transforming from dry small seeds to swollen seeds with a pearl-like look and texture. If they still look dry, don’t be afraid to add a few more teaspoons of water. Basil seeds can be found at health food shops or Asian grocery stores. Lay the sliced watermelon on a large plate. Sprinkle the watermelon with the marinated feta. Place the cherry tomatoes over the feta. Dress with the basil seeds, drizzle with olive oil, and finish with fresh baby greens.